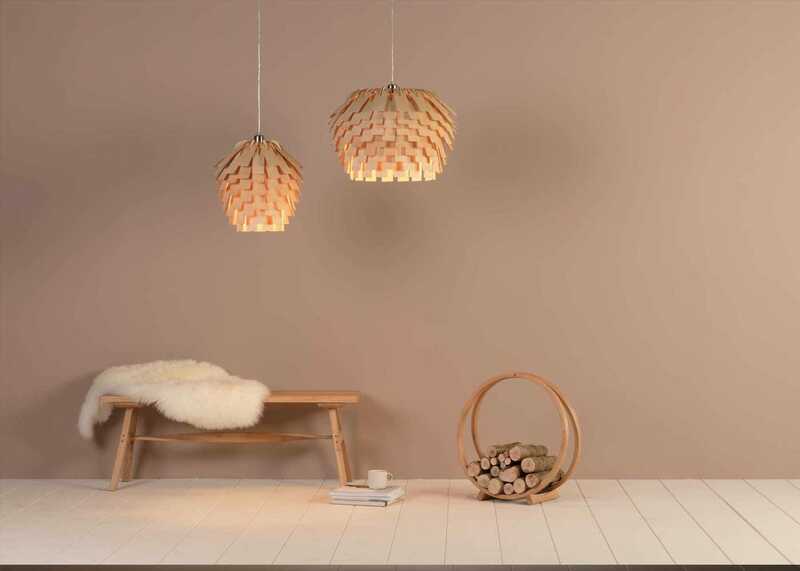 Inspired by the trees from Tom Raffield's woodland the Scots Pendant wooden lampshade is hand made from individual cut leaves of wood. These wooden shingles are held by a birch wood frame, creating an organic shape that is reminiscent of the fallen pine cones found in autumn. 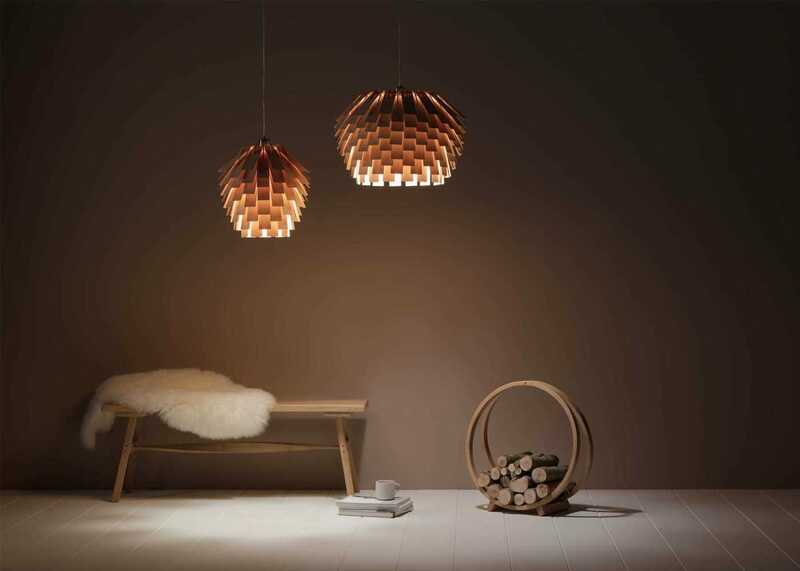 The attractive layers of ash wood disguise the bulb whilst playing with the light to cast a serene glow into the room. 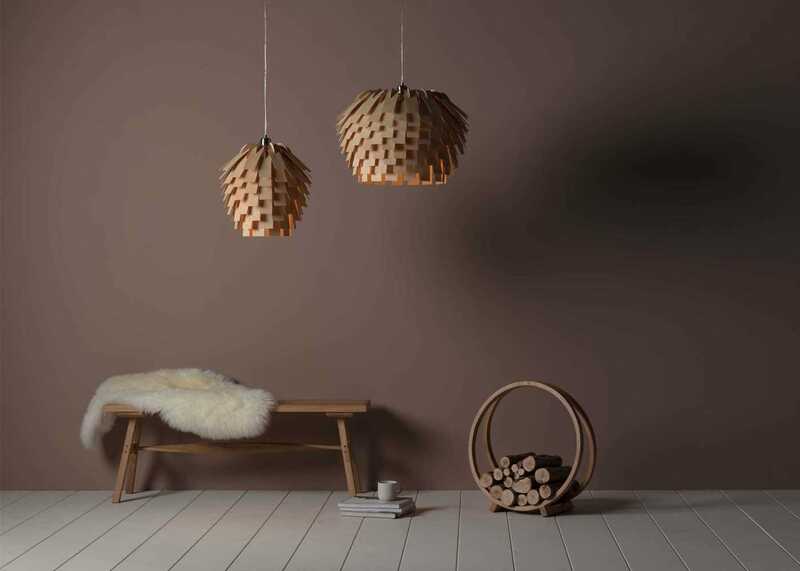 Whilst the oak and walnut options work brilliantly as downlights for surface illumination. 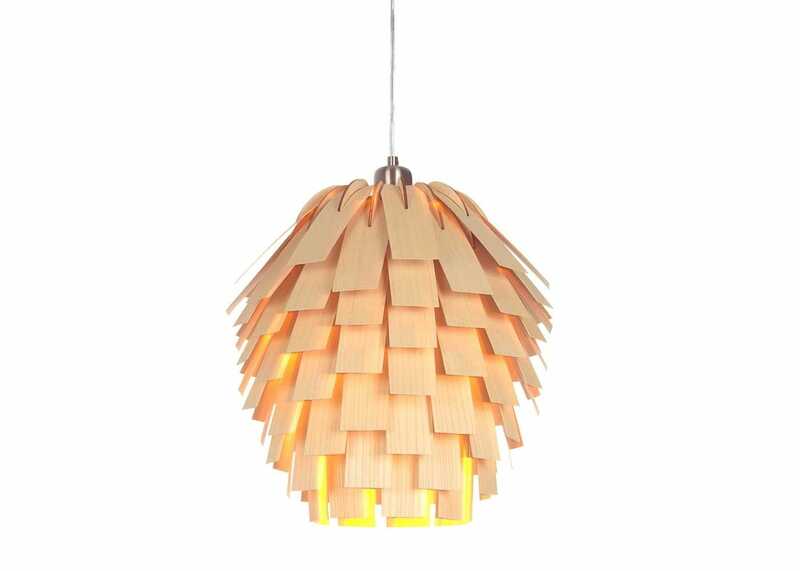 Made by hand in Cornwall, England from sustainably sourced wood and finished with an eco-friendly, non-toxic varnish. Really gorgeous lampshade but it was a nightmare to install, the electrical fittings on it were not straightforward - I was away (luckily) but my husband, who's good at practical things like that, had a bit of a time with it! Would give it 5 stars if fittings had been standard or more straightforward as... Read More. 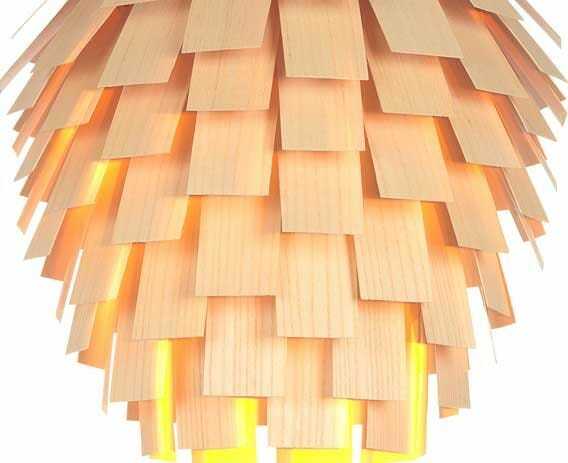 Really gorgeous lampshade but it was a nightmare to install, the electrical fittings on it were not straightforward - I was away (luckily) but my husband, who's good at practical things like that, had a bit of a time with it! Would give it 5 stars if fittings had been standard or more straightforward as light is gorgeous.